I can't believe the weekend is here already! Today, I've got some purple polishes to show ya! This set is meant for Ombre manicures. Look at this. If you've done the Ombre Mani before, you either had to find polishes in the same color group from your stash, or you added a white polish to your most pigmented polish to change the color for each nail. 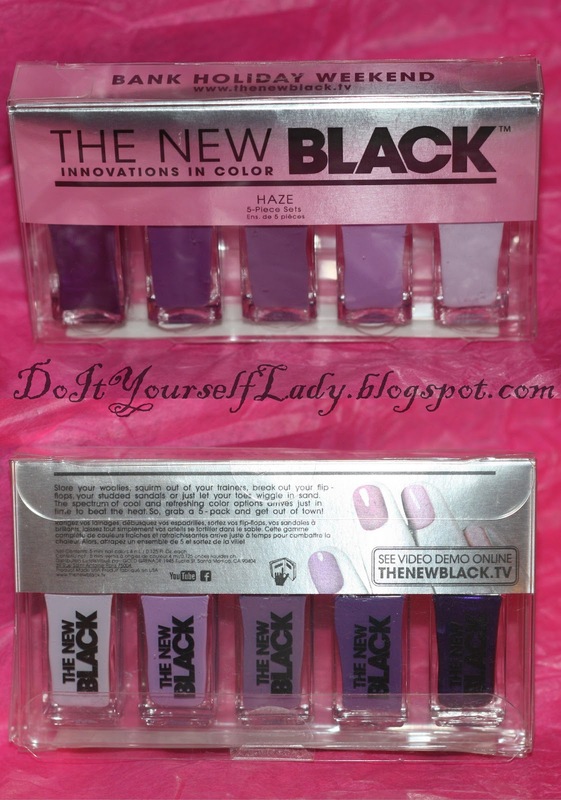 Well, I am glad that with this The New Black Set, Ombre Manicures can be achieved without having to add white to a polish to change the color and create an ombre effect on your own. Since the Color I used on my thumb was almost a one coater, I decided to stamp with it on the other colors. Here are my results. I used an image from Cheeky Plate 11. I love the result!!! Honestly, I think it's a genius idea to have an Ombre Set. The Ombre mani doesn't seem to be going anywhere anytime soon, so I'm glad to be able to partake in it without too much headache of finding colors that compliment each other from my stash. Application was a breeze on all of the polishes except for the one I used on my ring finger. It ended up being a 2 coater, but my goodness, it was a pain to apply because of the streaks. Topcoat fixed it though. The Polishes have a great shine on their own. What are your thoughts on this darlings? They look great! I haven't done an ombre, but I need to! I had no idea this existed, but god what a good idea! Really takes all the guess work out of picking the polishes for the ombre mani, because I'm too lazy to add white as well.. I think I love the one on your middle finger the most, and the stamping turned out really great! Yep! You got it. Takes the guess work out of picking polishes for an Ombre mani. Interestingly, the one on my middle is also my favorite. Very cool set and I love the mani you created! the ombre is so beautiful i love it both alon and with the polkadots!